PHENOMENAL VALUE & BRAND NEW CONSTRUCTION! 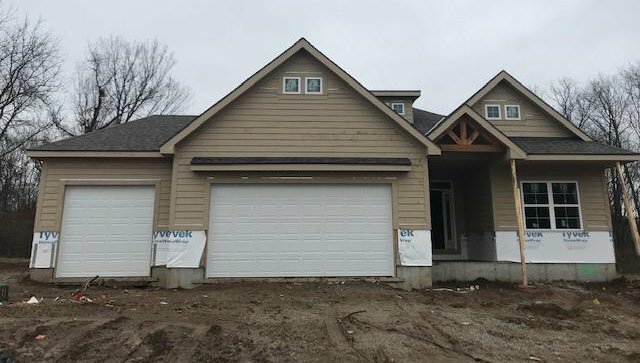 YES YOU READ IT - 4 BED, 3 BATH, 3-CAR GARAGE. REV 1.5 WITH TWO BEDROOMS ON THE FIRST FLOOR, OPEN CONCEPT FLOOR PLAN W/CUSTOM KITCHEN, RICH HARDWOODS, GRANITE COUNTERTOPS, SS APPLIANCES, OVERSIZED PANTRY & COVERED DECK. MAIN LEVEL LAUNDRY CONVENIENTLY ATTACHED TO MASTER CLOSET. LARGE FINISHED REC ROOM IN BASEMENT WITH TWO ADDITIONAL BEDROOMS AND JACK & JILL BATH. LOCATED ONLY MINS FROM HIGHWAYS, SHOPPING AND MODERN CONVENIENCES. DON'T MISS!